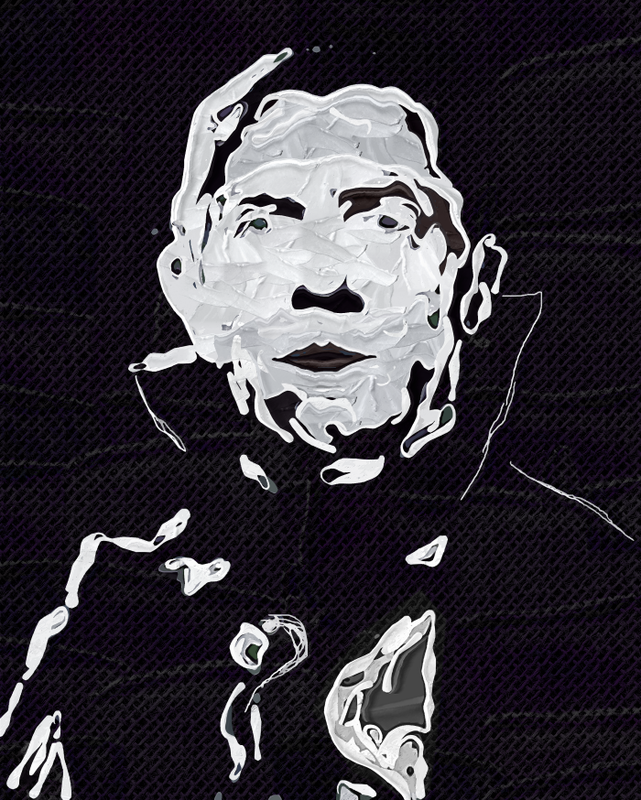 We wrap up our month of spooky art with a slightly impressionistic portrait of Bela Lugosi as Count Dracula. It’s his iconic role, and it’s a Halloween classic, one of the greatest horror films in history. For this painting I pulled out some digital brushes that I don’t use as often as I used to, and worked in a mostly monochromatic fashion. I did use photographic reference, but didn’t just feed it through a filter. I think it’s recognizable, but I’m not sure I captured the piercing quality of his eyes. Click the image to see a larger version, so you can be the judge. In the meantime, today over on The AIR, we present another 24-hour marathon of special Halloween programming. From 7 AM Monday until 7 AM Tuesday you can tune in to hear Halloween episodes of Radio Free Charleston, Sydney’s Big Electric Cat, Radio Coolsville, The Bats**t Crazy Show, Curtain Call and RFC International, all mixed in with classic Radio Drama and more spooky goodness. We’ll be playing most of the same shows we brought you last week, but since it’s a 24-hour marathon we mixed up the running order so you won’t hear the same progamming at the same part of the day, so much of it will seem new to you. We’ll also run a marathon for Halloween on Wednesday.